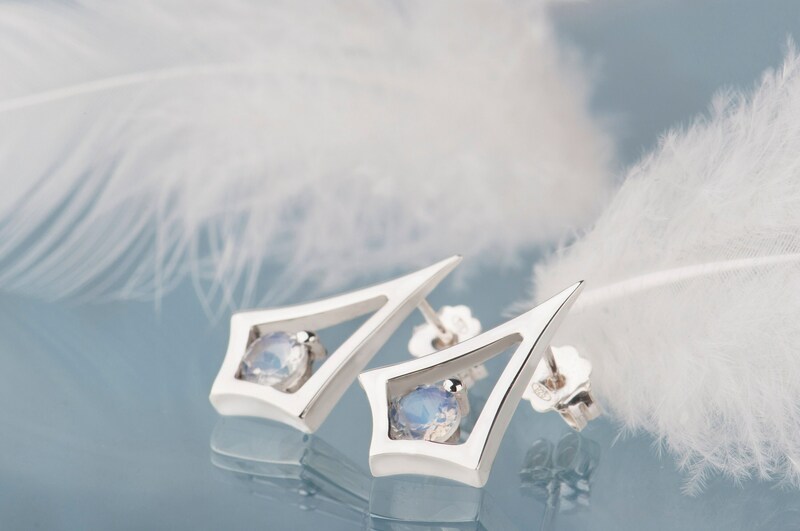 These moonstone earrings were designed for women who like elegance and simplicity. 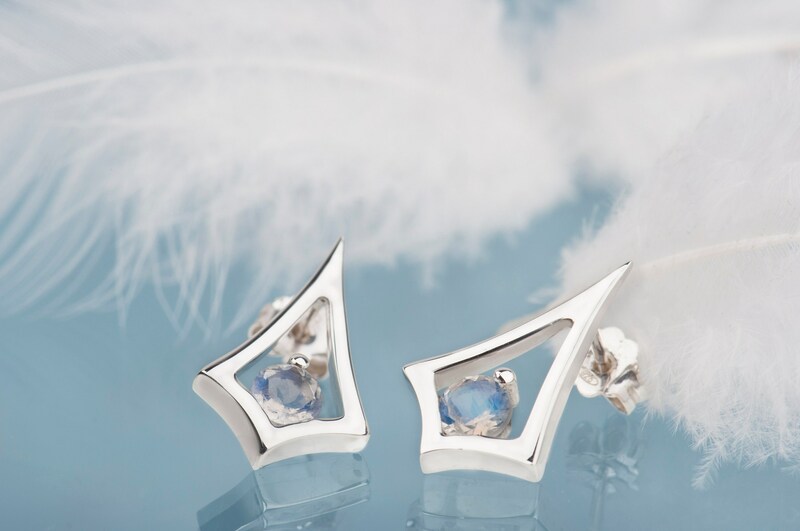 The size of the earrings is not so big but they are easily noticeable and can be a distinct accent of the outfit. 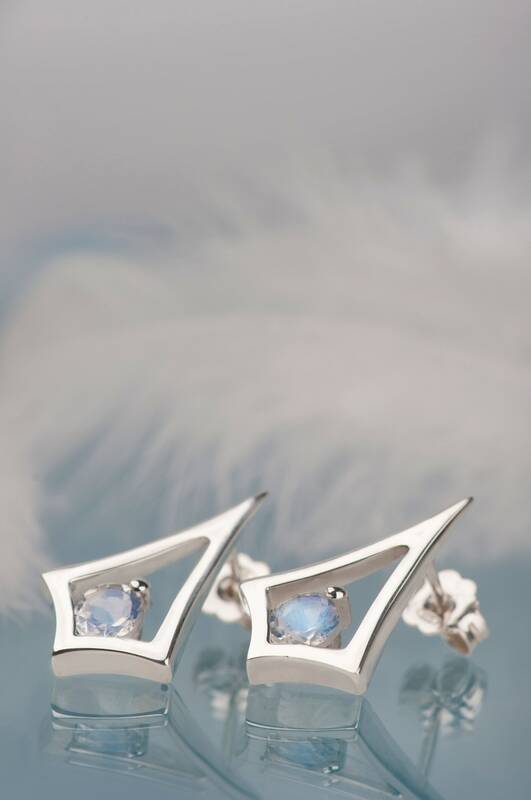 Moonstones set in these earrings are high quality and their surface shimmer in beautiful blue color. This blue glow depends on angle of the light so every move of the head will make them look different. 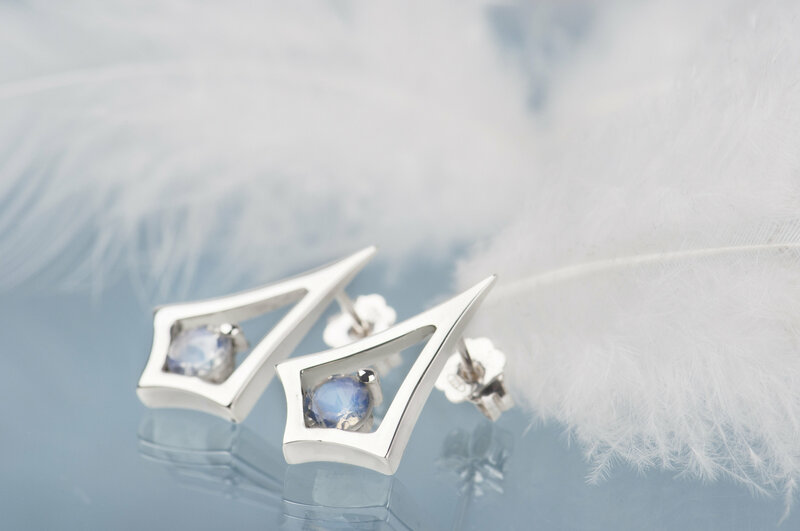 It's one of the greatest features of the moonstones - that's why they are so charming and unique. 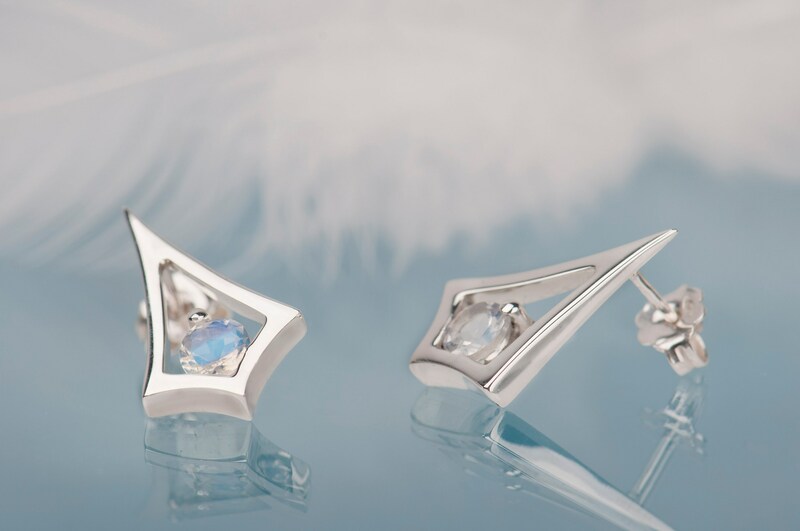 * Optional: precious white rhodium plating which makes the surface of the earrings more durable and tarnish free. 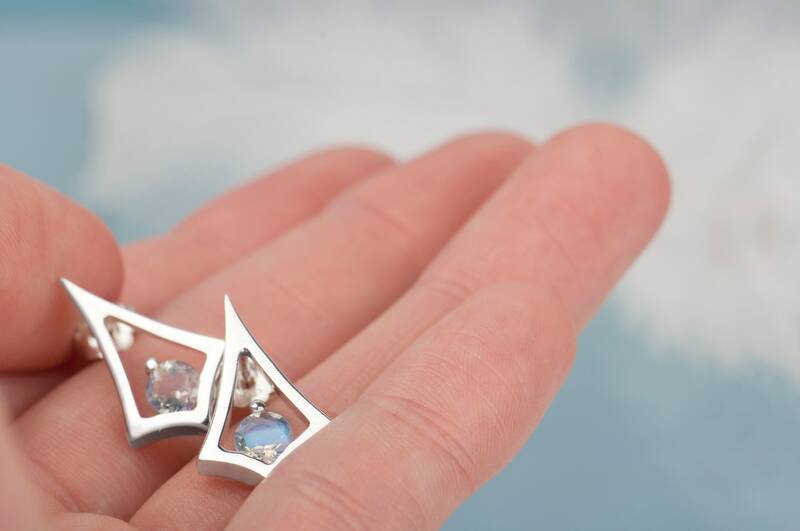 These moonstone earrings are handmade and I need up to 7 days to make them. 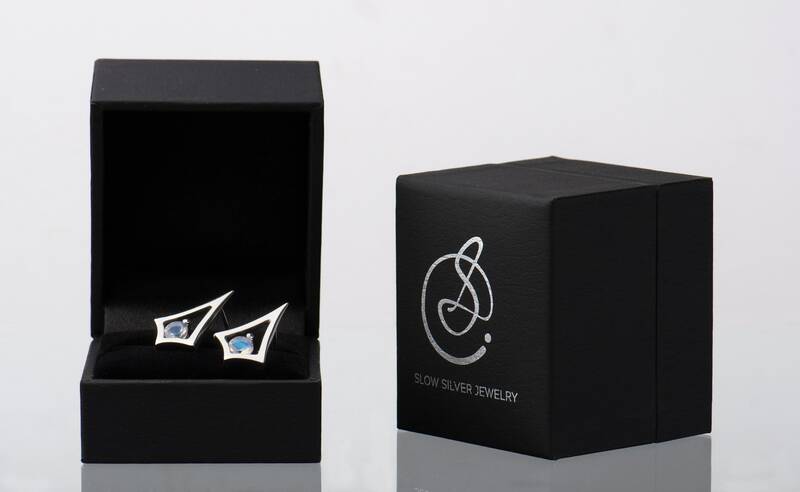 They will arrive in a black and elegant jewelry/gift box. Please keep in mind that no two pairs of earrings will look the same because they are handmade items and I use natural and unique stones to make them. If you have any questions please send me a message. I can set other stones instead of moonstones - just let me know and I show you stones I have at this moment in my workshop.